To maximize the utility of natural extracts, they must be atomized and mixed with other useful materials to ensure their function is realized. We conducted experiments that involved electrospinning a natural extract in a polymer solution to fuse the extracts in polymer nanofibers. 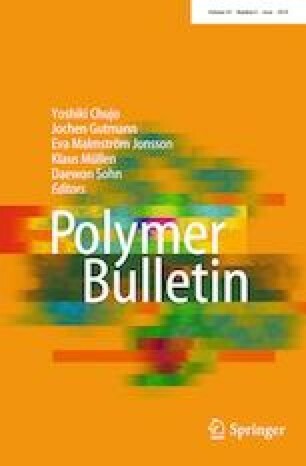 The Juniperus chinensis extracts (JCE) were mixed with a polyurethane (PU) solution to make a nanofiber web (PU/JCE), which was laminated with polyethylene terephthalate at 90, 110, and 130 °C (PU/JCE-LC). We analyzed the morphology, air permeability, water vapor transmission, resistance to water penetration, contact coldness (Qmax), and antibacterial properties of the fabricated PU/JCE nanofiber laminate composites. It was found that as the laminating temperature increased, the air and moisture permeability of the PU/JCE nanofiber laminate decreased, and its water resistance and Qmax increased. Also, the antibacterial test confirmed that the laminate provided antimicrobial activity against Staphylococcus aureus and Klebsiella pneumoniae. The results reveal that the combination process of electrospinning and laminating can provide an effective way to assign functionalities of natural extracts, which opens up the possibility of imparting a variety of functionalities from nature into polymeric nanofiber. The online version of this article ( https://doi.org/10.1007/s00289-019-02771-6) contains supplementary material, which is available to authorized users. This work was supported by the National Research Foundation of Korea (NRF) Grant funded by Ministry of Science, ICT & Future Planning of the Korea Government (NRF-2017R1A2B4009315).